First Floor 1391 sq. ft.
Lower Level 68 sq. ft. 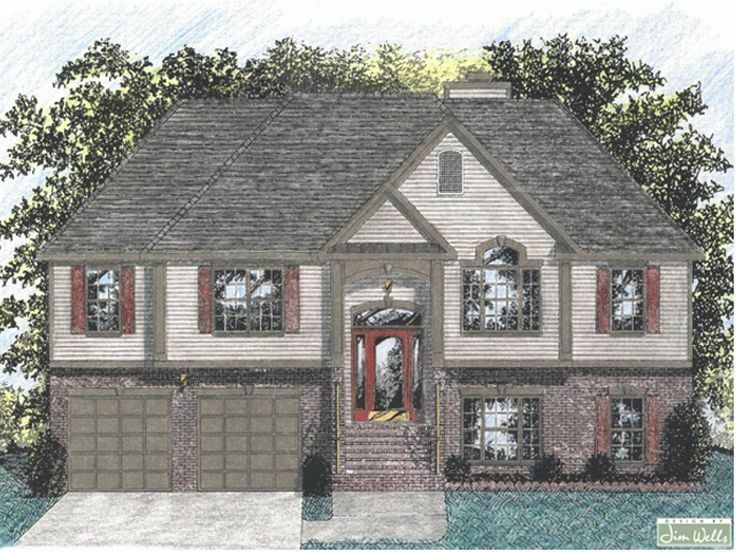 This extraordinary split-level home plan boasts far more than just a "pretty face.” Careful attention to detail makes this small and affordable 1459 square foot design as functional as it is attractive. A covered stoop protects the inviting entry, which is brightened by the glass door with sidelights and an arched transom. Vaulted ceilings dramatize the family room, dining room, breakfast room, kitchen and sunroom while lending to an open, airy feel. A fireplace is the focal point of the family room. The spacious dining room is open to the family room and is adorned by a large "Palladian style" window. The efficient corridor kitchen includes a cabinet-style pantry. Adjoining the kitchen is the breakfast room and a sunroom, a feature seldom found in a home of this size. The sunroom provides access to one of the two decks, each measuring approximately 14' x 8'. 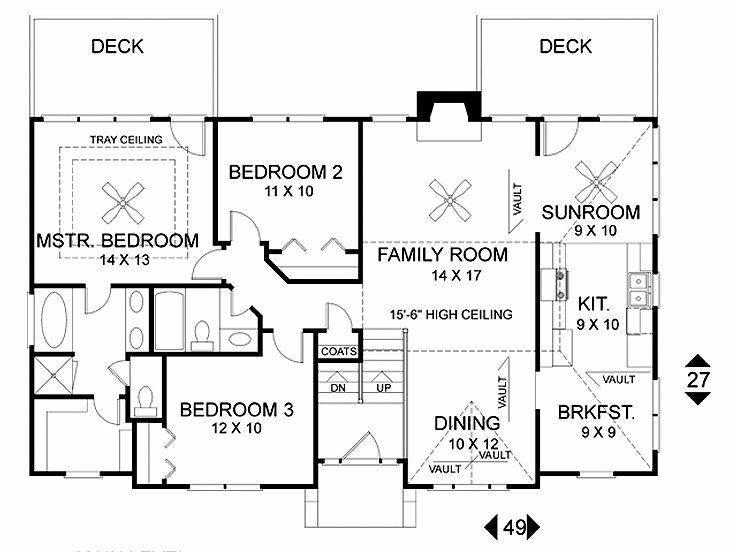 You will find three bedrooms on the opposite side of the home. Two comfortably sized secondary bedrooms each open near the shared bath. The master suite is truly luxurious. 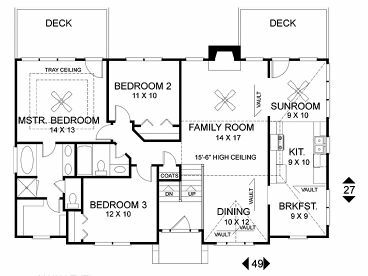 Among it's many amenities are a double-step tray ceiling, access to a private deck, a bath with double vanity, garden tub, shower, toilet compartment and a large walk-in closet. 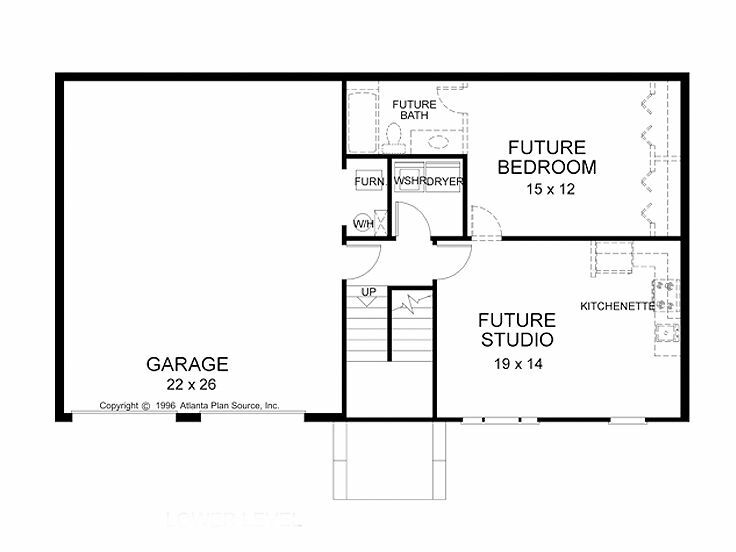 On the lower level along with the enormous 22' x 26' garage is a laundry room. 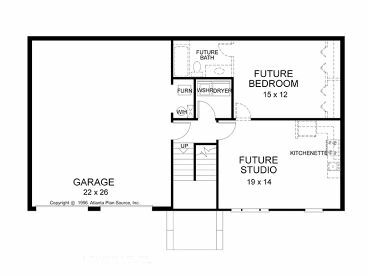 Abundant space for growth is available with an optional 520 square foot studio, which includes a kitchenette, bedroom and bath. This economical ranch house plan is sure to please you with its thoughtful floor plan and traditional style.